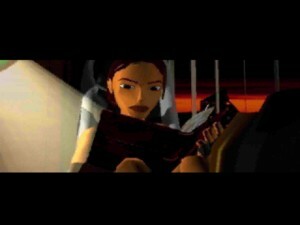 I have a fear of elevators in general, so Lara’s stunt in the cutscene that precedes this level has always, always freaked me out just a little. Scenes like this push her firmly over the line from “adventurous free spirit” to “batcakes insane adrenaline junkie,” and I am not keen on it. That said, I do like this cutscene overall, since it features the interesting excerpt from the monk’s journal. Like Tihocan’s epitaph later, I like the gentle reminder that people actually once lived in these places Lara explores. 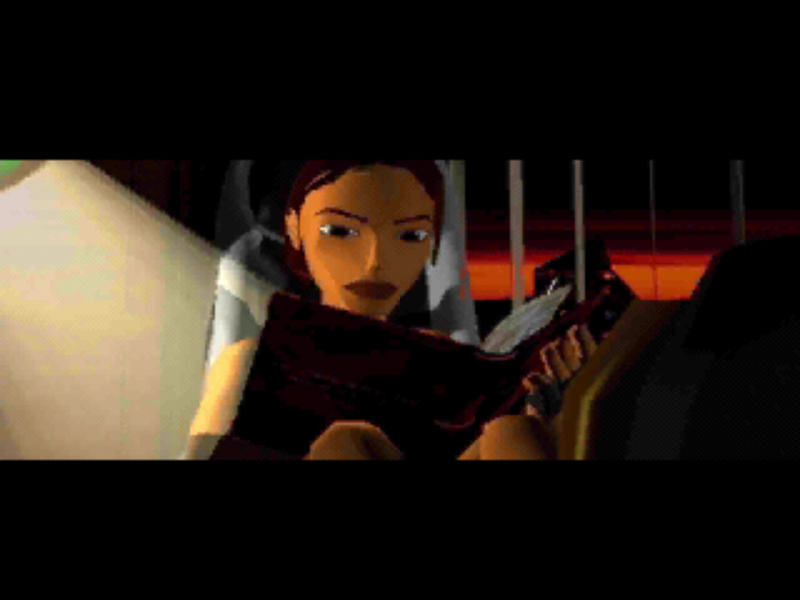 I like how absorbed Lara appears to be in the book; I've always been partial to the idea that she spends most of her non-tomb raiding time reading and studying ancient languages. I’m still confused about the line “my toes sweat at such possibilities,” though- is that supposed to be a joke, or is that something people actually say and I’ve just never come across it? I feel kind of sorry for this character we only experience in a paragraph of text: powers, beyond the creator himself, locked beneath his monastery! And all he can do is ponder the condition of his toes! Poor troubled monk, I hope he had a good, long life and spent none of his time in St. Francis’ Folly anywhere near that abysmal second secret. This level is a conundrum; on the one hand, it’s incredibly daring and inventive, but it also shows just how rushed the designers were like no other level does. First, they swap a Roman god’s name with the proper Greek one (Neptune for Poseidon), and include a Norse God, Thor, for no apparent reason. I mean, Neptune was an oversight, clearly, but THOR? If you were thinking “Greek Gods” and “Lightning,” how could you NOT think of Zeus, exactly? I’m still puzzled by that omission. And why Neptune, Thor, Atlas, and Damocles? How arbitrary is that? 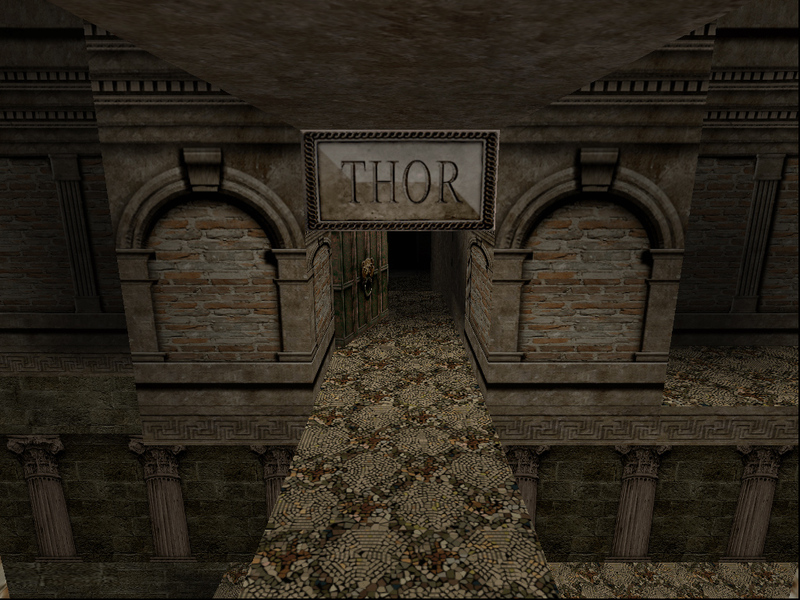 Second, the challenge rooms are mostly one-trick ponies, and of them all, only Damocles and Thor are really memorable, and Thor mostly for the wrong reasons (although the hammer trick was admittedly cute.) 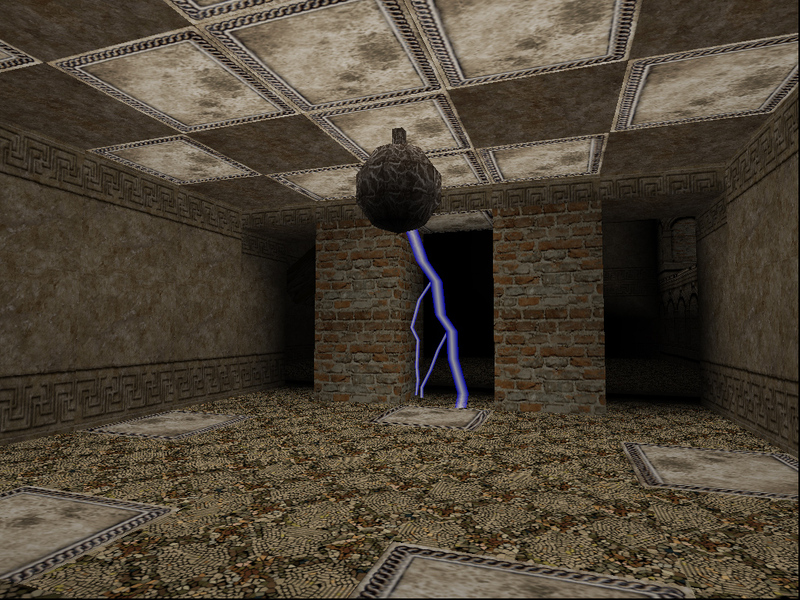 That said, I found the additions they made to the challenge rooms in the incarnation of this level from Tomb Raider Anniversary extraordinarily tedious, so it’s probably just as well. I guess I feel there’s an element of wasted potential here: can you imagine if you actually had to go through a pantheon of 12 Greek Gods, each with their own trial, in an even larger vertical room? Sure, it probably would have been broken up into two or three levels, but that would have been mind-blowing. As it stands, it’s still amazing for the time, but the choice of the Gods (even aside from the mythology-switcheroos) always made it seem more like the monks just slapped together a bunch of trials than anything else. Didn’t they care about protecting the Scion? 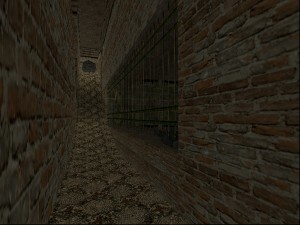 This level is also notable for introducing Pierre Dupont, a bane to those trying to conserve health packs. Back in the day, when I incurred a lot more damage to Lara and actually needed all the health packs I picked up, Pierre’s creeping out of the woodwork and shooting at Lara several times per level was a real problem. Now, however, I find him more interesting to mess with than anything else; there seems to be a remarkable amount of variation in terms of how many times you can shoot him before he’ll run away. I believe there is a technical amount of damage that you need to do, but if he doesn’t happen to be near a good column to disappear behind when you finish inflicting it, he’ll run around in circles like a chicken with his head cut off and soak up a ridiculous amount of bullets, to the effect of three or four times the amount of damage he’s “supposed” to take before he runs off. 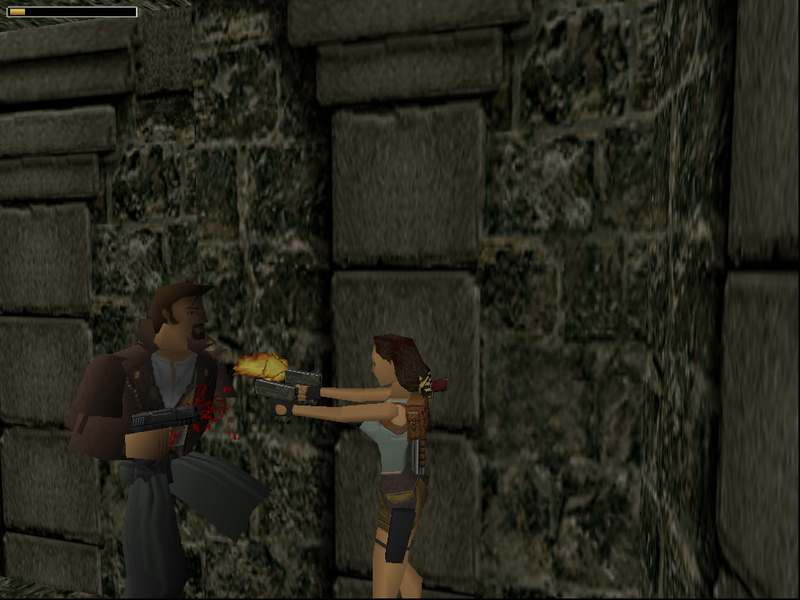 I will say this for him though: at least he knows to get the drop on Lara and start shooting at her from behind, which puts him in the top 99th percentile of Tomb Raider villains, intelligence-wise. It may not have worked out for him, but at least he had the right idea. Speaking of his Houdini act, I know that Pierre disappears as soon as he leaves your line of sight due to technical limitations, but I always thought it was kind of cool; I like the idea that Pierre is aware of all sorts of shortcuts through the level that Lara isn’t. I mean, imagine that when you play as Lara, you see everything through a kind of “Lara-filter”, meaning you’re only aware of the routes she finds. Now in theory Pierre, who won’t have access to all the same keys and whatever Lara finds, has to find his own way, and sees parts of these venues that Lara doesn’t get anywhere near. Cool thing about Pierre's verison of this level: Does NOT include Atlas room. these levels. 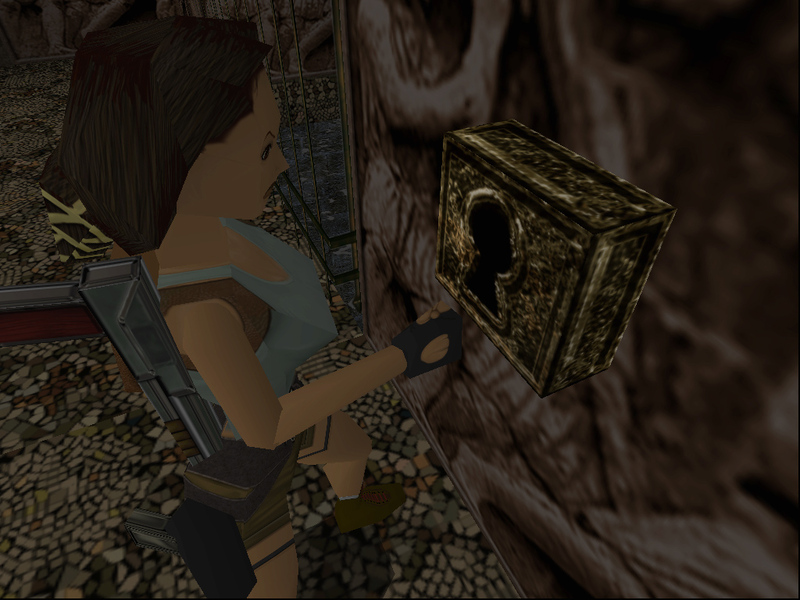 Same levels, but with new areas and different puzzles, and you periodically get to sneak up behind Lara and scare the daylights out of her. Actually, since he doesn’t show up in Palace Midas, you can assume he takes a completely different route and goes through, like, five additional Greco-Roman levels. I suppose you could do the same thing with Larson in Egypt, although I can’t imagine Larson figuring out very difficult puzzles. Oh, and awesome TRLE people? While you’re at it, do the full-on Greek Pantheon version of this level I was talking about above; people will be impressed. Although lord knows what kind of trial Demeter will spawn; maybe something Harvest Moon inspired. By the way, this level is the reason why I decided against doing an all-secrets run; I have never gotten the second secret on this level, and I think it’s evil incarnate and have no intention of doing so. I’m also not keen on the last secret of this level, which requires you to lose more than half your health. I know some people like truly difficult secrets that you have to work for, and I can definitely understand that, but I like to be rewarded for exploration, not repeating the same ten minutes of a level over and over again, or trying a death-defying stunt. I might have a different view of these things if I was playing the PC version, however I will always think of the Playstation incarnation as the “real” version. Best: Nothing beats when you first walk into the main room and take in the view. 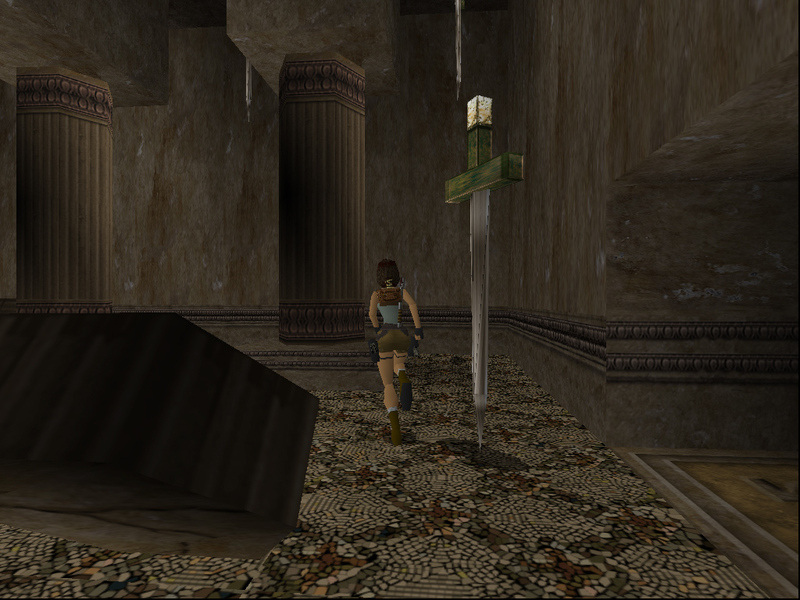 Also, the game is generous enough with save crystals in this level that you can afford to jump around a lot without worrying about having to repeat fifteen minutes of progress- or maybe it just seems that way to me after having experienced the relative paucity of crystals in Tomb Raider III. Also, if I may be so bold as to include several bests for this level, the gorillas are very cool- it’s really a shock when you discover that an enemy actually follows you to higher ground, and for that reason they’re actually more intimidating than many more powerful enemies. Worst: I almost want to give worst-honors to the incredibly tedious level of Tomb Raider Anniversary that this level made possible, but that’s setting a bad precedent. The true worst aspect is the Thor puzzle which, while it can be bypassed harmlessly by doing a forward roll, appears to be a random death trap, and usually is in practice. I only found out about the forward roll trick after reading about it online, because there’s no indication of how you’re supposed to pass it. It’s especially bad since you can get nailed with it on the way back, and have to do the rest of the puzzle over again. Rating: Four Uzi Clips out of five; it may be blasphemy to give this level anything less than full marks, since it’s one of those levels from the first game that people tend to remember, however I just don’t find it as fun to play as Lost Valley or City of Vilcabamba. Maybe it’s the prospect of falling to your death so easily, but it’s not as fun to explore. I guess I could give it a 4.5 out of 5, but what do you do with half an Uzi Clip? 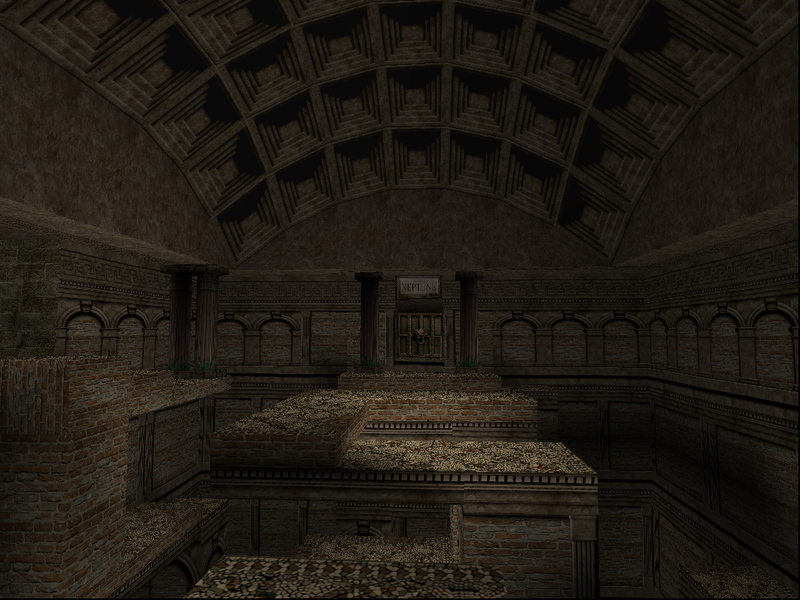 Next, it’s time for the next Greek level, a Roman Coliseum-um, make that the next Greco-Roman level. I foresee issues trying to explain this. Gurl, we’re waiting for your entry on the Colosseum. And also, how big are those keyholes? That keyhole does look pretty huge O__o. Lol, are you mad at my assessment of Larson’s intelligence? Not at all. You actually killed me with laughter. LOL. I’m really enjoying your posts by the way. Ah, okay- I wasn’t sure if that was a “ha, ha, funny” DEAD or a “how dare you insult my beloved Larson that way, you are DEAD!” sort of situation:). Thanks for commenting, working on Coliseum now- I’m thinking I should probably get that one annoying secret I’ve never gotten for research purposes before I finish it off.